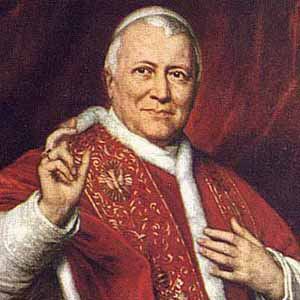 The head of the Catholic Church from 1846 until his death in 1878 who was the longest-reigning Pope in the history of the Church. He threw himself in deference to Pius VII, who supported his rise in the Church. His birth name was Giovanni Maria Mastal-Ferretti. Pope Benedict XVI is also an elected Pope of the Catholic Church.